The digital revolution has just reached the next level. Connectivity and processing power are increasing exponentially. Every day new opportunities and requirements arise for integrating systems and improving communication and services. We are at the forefront of this exciting new wave. The scope of our expertise and know-how, coupled with our flexibility, makes us unique. We can implement the exact solution you require from the ground up, or we can take your existing infrastructure and integrate it seamlessly with our solutions and products. Let us make you part of the connected world. We provide services and solutions for the connected world. Our IoT services will help you enhance and extend your business, putting you on the fast track to success. We provide bespoke electronic hardware design services for your IoT needs. We specialise in developing products for collecting and processing data for sensors, controllers and gateways of every size. We can make your Internet of Things ideas real with our rapid prototyping services. We will work with you, turning your device requirements into an IoT enabled proof of concept, or production ready product. Don’t reinvent the wheel. Leverage ESL’s Internet of Things expertise and banking grade security pedigree. Use our existing platform and products, speed up feasibility assessment and get your product to market quickly. ESL Cloud Solutions provides access to connected device data through portals such as EventMan Device Centre™ and WRx Connected Health®. If your use cases require a different or customised user interface solution to assess, filter, and process their device ecosystem, we would be pleased to offer a UI design service to deliver the exact information and control you need. EventMan Cloud™ processes your data using a powerful database platform. Based on ESL’s flagship product, EventMan®, EventMan Cloud™ offers a top-of-the-line multi-lingual, multi-currency, multi-entity workflow, document and device management system. With EventMan Cloud™, make sense of your connected device data. Optimize your processes by automatically creating events based on your data and escalating them to the relevant business application or end user. ESL Cloud Solutions offers IoT data capture tailored to suit your needs. If you want more out of your connected device data, ESL Cloud Solutions can provide a feature-rich data capture service. Our solutions will bring your event information across to EventMan Cloud™, leveraging the benefits of our workflow management system and our Device Centre™ portal. This is where our services and solutions converge. We offer an end-to-end IoT solution through ESL Smart Solutions and EventMan Cloud™. If you wish to take advantage of EventMan Cloud™ but also need to transfer data to your own cloud or data repository, ESL Cloud Solutions offers a third party cloud integration service. We will implement a custom interface, securely transferring your data from EventMan Cloud™ to the location you specify. We aim to provide a high quality service for our customers. Therefore, service availability and an agreed level of service are key to the ESL proposition, regardless of the ESL technology or solution you use. Any issues related to your ESL service or product will be handled by our dedicated front-line team. If the team is unable to resolve your incident directly, the issue will be assigned to the appropriate subject matter expert immediately. Either out-of-the-box or custom-made, our IoT products can be integrated seamlessly into your existing infrastructure, making it more efficient and effective. 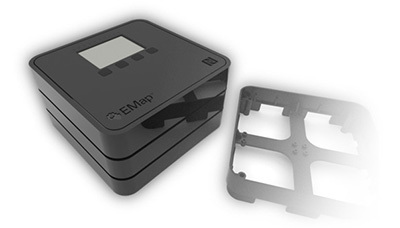 EMap™ is a highly secure IoT gateway, connecting local devices to EventMan Cloud™. SMARTpack™ was a finalist in the 2015 IET Innovation Awards. It is a new offering for smart packaging, asset tracking and counterfeit protection from Future Technology (UK) Ltd based around its patented seal technology. The solution is completely designed by ESL based around its EventMan Cloud™ platform and EMap™ IoT gateway. The SMARTpack module is formed as a standard set of electronics that can be fitted to multiple housings for specific use-cases. The device uses NFC and a WiFi module. The domiciliary care pack is operated by the patient, having been pre-programmed by the pharmacy or medication distribution centre using the EMap™. This allows complete asset tracking and combats supply chain counterfeiting, potentially saving pharmaceutical companies billions of dollars annually, further protecting the patient and also the pharmacy from reputational risk. The seals allow the opened cavities to be tracked electronically by the module and relay those events in real time to the cloud management system. EventMan Cloud™ manages the entire supply chain process, user community and capture of events. The service may be accessed via a standard portal or branded / vertical market skins such as ESL’s new WRx Connected Health® platform. If required third party applications can then consume those events to complete the application workflow. The entire solution is offered as a subscription-based service. EventMan Cloud™ is the cloud implementation of ESL’s flagship product, EventMan®, a powerful workflow, asset and device management solution which supports out of the box connectivity with EMap™ and is able to gather and process vast amounts of data. With EventMan Cloud™ it is easy to filter, analyse, process and leverage big data from multiple sources whilst reducing cost and saving time, even with complex workflows. EventMan Cloud™ is a fully hosted subscription-based cloud solution, which can be white-labelled / re-branded to display client identity. Typically, your devices will either connect directly to EventMan Cloud™ or will be integrated through ESL’s IoT gateway, EMap™. ESL’s Data Capture service can be integrated to your infrastructure with EventMan Cloud™, providing database-driven event management through the cloud. EventMan Cloud™ makes it possible to remotely monitor the events from your devices in near real time through EventMan Device Centre™ user interface. Device Centre™ is an administrator-controlled cloud portal for managing entire device ecosystems. Device Centre™ can be used to monitor a variety of configurations, from individual sensor nodes to EMap™, through isolated systems to system groups such as site, building, floor, company. Device Centre displays a dynamic control panel and transaction log which are refreshed automatically to display the latest events. Device Centre™, provides a customisable hierarchical view which can be configured to ensure that each user only has access to the appropriate devices. EventMan Cloud™ is designed to automatically generate alerts using events processed from connected devices. These alerts can then be distributed by SMS or email. Event escalation can be multi- tiered, based on severity, elapsed time, etc., and be proactive, making it possible to take action before an issue becomes a problem. The modularity of the EventMan Cloud™ solution also allows it to work with other IoT gateways. Our out-of-box Internet of Things demo kit are the newest item in your sales force’s arsenal. Let ESL target proof of concepts at your customer’s specific vertical and open new doors. Show devices communicating in real time with our EventMan Cloud™ platform, stimulate discussions and sparkle new projects. The WRx Connected Health® platform provides a comprehensive patient management portal, transforming the delivery and monitoring of health care in the home. With WRx, the patient, the care-giver or the visiting nurse can easily record data and make it accessible online to doctors, other health professionals or to friends and family who want to monitor the patient’s well-being. The WRx Connected Health® platform is a telehealth skin for EventMan Cloud ™. Using the device integration supported by EventMan access point (EMap™), multiple health related devices can gather patient data. This is then processed and delivered to the WRx Connected Health® portal. 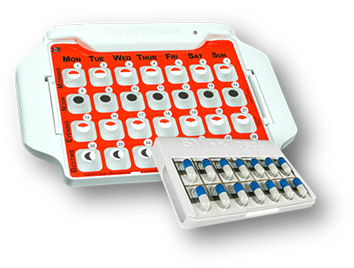 In addition to ESL’s SMARTpack™ medication adherence solution, this can include data recorded through glucometers, blood pressure monitors, weight scales, pulse oximeters, etc. With Administrator control, the portal can provide key patient data (medication, allergies, engaged health professionals) giving the user a holistic view of the patient’s care situation. Today, the financial services sector is under increasing pressure through the demands of cost-control, risk management and regulatory compliance. In such an environment, companies need to become ever-smarter in how they run their back office operations. ESL Financial Solutions builds value-added products for the finance industry, using the powerful EventMan® framework. Absence monitoring and timesheet management. ESL Financial Solutions Ltd. is currently developing a sophisticated suite of tools utilising EventMan® for Trade Processing Operations management, i.e. the Operations Dashboard. In developing the Operations Dashboard, we are collaborating with existing clients, partner vendors and partner consultancies to ensure we meet the market’s demands and deliver a product that exceed expectations. The Operations Dashboard™ will provide a real-time display of the current status of various business operations processes, displaying various operational metrics such as volumes, balances, ages and values measured against specific Key Performance Indicators. These metrics can then be further analysed by various sub-categories (e.g. markets, currency, trade size, trading desk or book, and product), with the ability to drill down into the data with increasing levels of detail. The Operations Dashboard™ also offers views into the queue management activities of the Operations Department, giving Operations management the ability to monitor lists of pending activity (e.g. outstanding reconciliations, cash management tasks, settlement status, etc.) and focus the company’s efforts accordingly.